Basement Apartment Kitchens | Can You Get Out Safely? 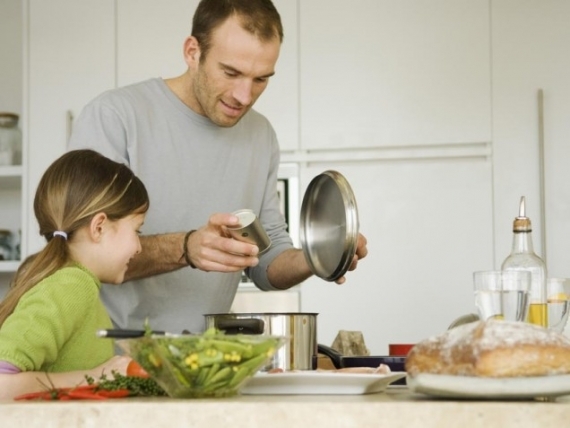 Home » Thoughts » If you can’t stand the heat, can you get out of the kitchen? I thought it would be a good idea to look at one of the most important reasons why a basement window well is important – kitchen fires. Basement apartments are a great option for homeowners looking to bring in a little extra money, and for renters looking for an affordable and well-located place to live. There are drawbacks that need to be addressed, though – and one of them is safety. Adding a fully functional kitchen into a basement apartment presents the risk (fortunately a small one) of a fire breaking out down there. And if that happens, how will those trapped downstairs get out? In most basement apartments, the kitchen is also where the front door is located; so a cooking oil fire, or other blaze, often shuts off the most obvious exit. In that event, people trapped downstairs have only a few minutes to find an alternative exit before they run the risk of being overcome by smoke. This is why a “means of egress” like a basement window well is so important in a basement apartment. An egress window is a window that can open fully from the inside, and is large enough to crawl out of. A window well is a rigid pit that enables those who’ve escaped a basement apartment to crawl up to ground level and escape. Egress windows are such a life-saving essential that they’ve become part of national building code; and all owners of finished basements and basement apartments are legally required to install one. But while legal compliance is important, the real reason why they’re so essential is because they can potentially save lives; and that’s always the most important thing. If you’re thinking of installing a basement window well, remember that kitchen fires are the most common cause of blazes – and plan accordingly.